When you get injured at your place of work, you deserve to be compensated fully. That is the reason the workers’ compensation law was enacted. However, you can still sue outside that for the damages you have had due to the workplace injury. 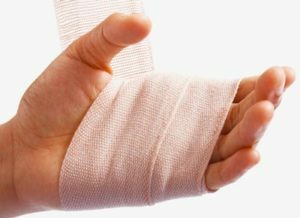 Whatever the case, a work injury cannot be handled alone. You need to alert a reliable lawyer.Glendale, CA is a city where there have been thousands of reported workplace injuries and injury cases. In this city, you can get reliable work injury lawyers at Rawa Law Group. We are a renowned firm made up of some of the most accomplished injury lawyers here in California. We have used our 55 years of combined legal experience to the advantage of thousands of residents who have been victims of workplace injuries. When you hire us, you open yourself to a world of legal advantages. Firstly, you should not consider any upfront payments. With Rawa Law Group, payments come after the triumph on any case. You should also consider not paying any hidden charges for our legal advice. Although you need to meet with our attorneys from time to time, the appointment hours are quite flexible. Our trained attorneys pay full attention to you even if you are immobile – we can visit you at home or hospital if need be. To hire a reliable work injury attorney in Glendale, CA, seek out our services at Rawa Law Group.